In conjunction with the exhibition, Adjaye designed a collection of textiles for Knoll inspired by the museum’s collection. Combining Adjaye’s unique perspective on abstract geometric pattern systems with Knoll Creative Director Dorothy Cosonas’s deep knowledge of woven and print techniques, the collection presents an exceptionally rich and varied range of patterns and textures. 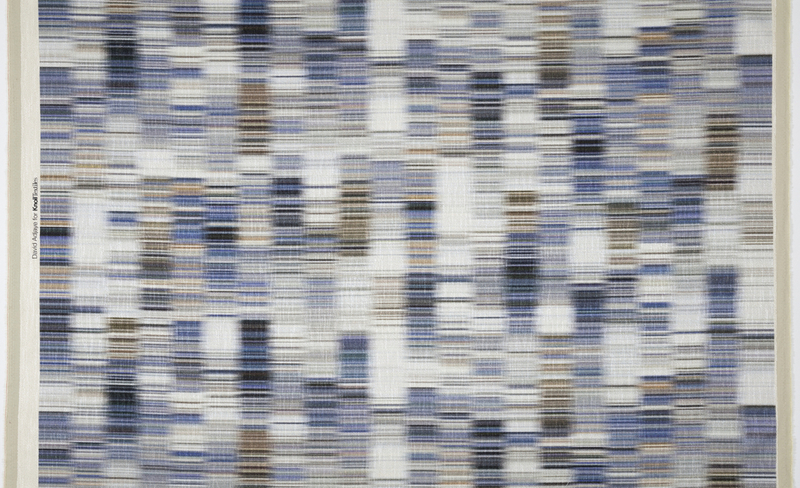 Each textile is named for an African city and reflects Adjaye’s personal love of African geography, nature and culture. Aswan, an upholstery with a plush surface, combines the formal composition of Ewe strip-woven prestige cloths from Ghana with the soft color effects of digital printing to create something utterly new. Susan Brown is the Associate Curator of Textiles at Cooper Hewitt, Smithsonian Design Museum. ← Who Wouldn’t Want to Take a Peep?